Pantech has announced its first smartphone with a full HD display, after the 5-inch Vega S5 the Korean company unveiled last July. The new Vega 6 phablet has a resolution of 1920x1080 pixels with an IPS display measuring 5.9". Pantech claims this is the first tablet with LTE radio to be available in Korea (global launch plans have not been yet disclosed). 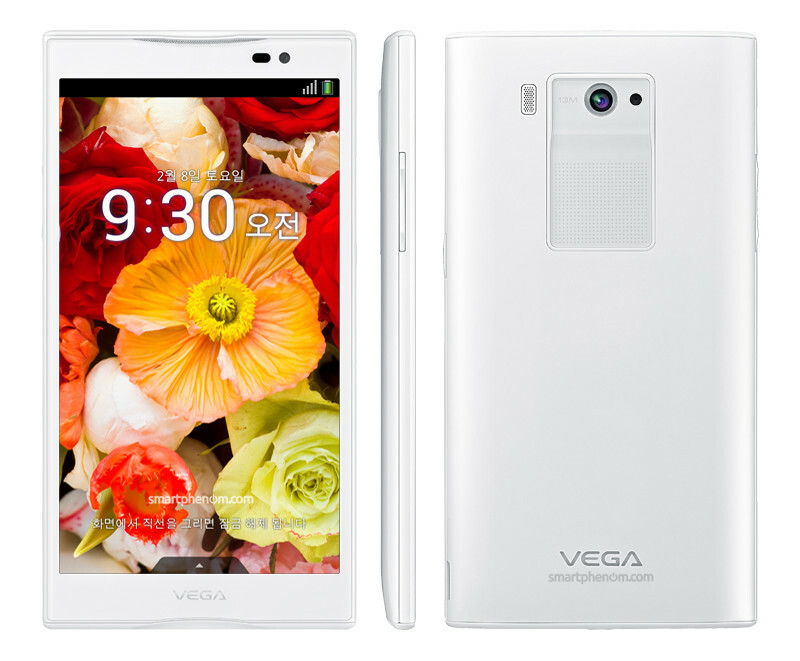 The Vega No 6 has Android 4.1 Jelly Bean onboard and can shot videos at 1080p video and 30 frames thanks to its 13 megapixel camera. The beast is powered by a quad-core 1.5 GHz Snapdragon S4 Pro processor, 2GB of RAM, 32GB of built-in (flash) storage and support for microSD cards. The built-in battery is a decent 3140 mAh pack.